Bob Stewart is Associate Professor of Sport Management in the School of Human Movement, Recreation and Performance at Victoria University in Melbourne. He is also an associate of the Centre for Ageing, Rehabilitation, Exercise and Sport at that institution. 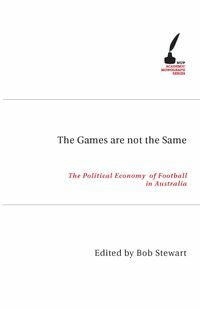 Bob has taught in the field of sport policy and management for the last twenty years, and is the co-editor of More Than a Game: The Real Story of Australian Rules Football, published by Melbourne University Press. Contributors: Rob Hess, Matthew Nicholson, Peter Horton, Dwight Zakus, Alan Edwards, James Skinner, Geoff Dickson, Braham Dabscheck, Robert Macdonald, Ross Booth.